Along with being my partner, I also work closely with Stephen McGowan. Stephen's unique photography style sets him apart from other photographers in the North West. Stephen likes to combine documentary style wedding photography with a modern creative twist. Working quietly in the background on your wedding day, you would never know he's there - documenting every little detail and memory on your day. I've worked alongside Stephen on many occasions - mainly for weddings and bridal shoots and would highly recommend him for your wedding. Why not get in touch with us to chat about combining both Make-Up and Photography into a single package? A consultation at which we’ll discuss the theme of your wedding, your preferred photography style, any photos you may have seen which you’d like to try and recreate etc. In the same consultation we will also discuss your make-up ideas and needs with Emma. A make-up trial held ideally 6-8 weeks before your wedding. During the trial Emma will gain an understanding of your specific make-up needs and will consider your skin and eye colouring, as well as what you and your bridesmaids will be wearing on the day. Assistance planning timings for your wedding day, and production of a photography schedule for the day. A complimentary engagement shoot to get you warmed up in front of the camera. 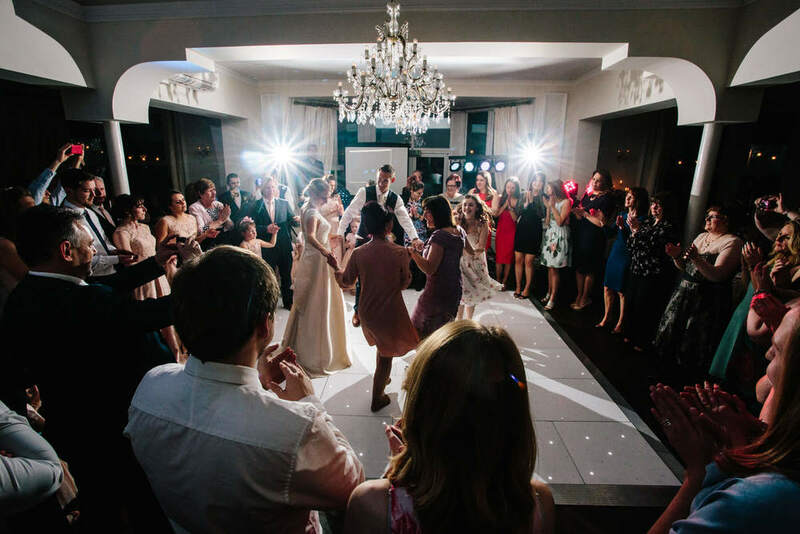 Two fully insured photographers, using the highest quality professional equipment to capture your most important moments without compromise to quality even in low-lit churches. A clear and concise wedding contract protecting all interests. A fully insured and experienced make-up artist (Emma) with the knowledge to produce beautiful make-up which looks timeless and elegant. The morning's make up will be run by Emma with Stephen photographing your bridal preparation. Once make up has been applied, Emma switches over to being a second photographer for your day. Double the coverage of your day from when you are ready for us in the morning until after the first dance. Two professional photographers with the knowledge and experience to light, direct, and position you to get the best looking photographs. A highly efficient and effective photographic team coordinating your formal group photos so that you have as much time as possible to enjoy with your guests. Peace of mind that the atmosphere and emotion of the day will be captured for you and your family to enjoy and reflect upon for many years to come. The excitement of your wedding day captured in an unobtrusive and subtle manner. Hundreds-thousands of raw images reviewed, with final images hand picked and individually edited in my professional photographic style. Your digital images will be provided to you in a stunning engraved wooden presentation box containing an engraved USB stick containing the best photographs of your special day along with a selection of 30-40 6x4 prints hand picked by Stephen & Emma. A digital slide-show of your images set to music will also be sent to you on a CD. Additionally, we can also produce your wedding album upon request.